Ciao a tutti! 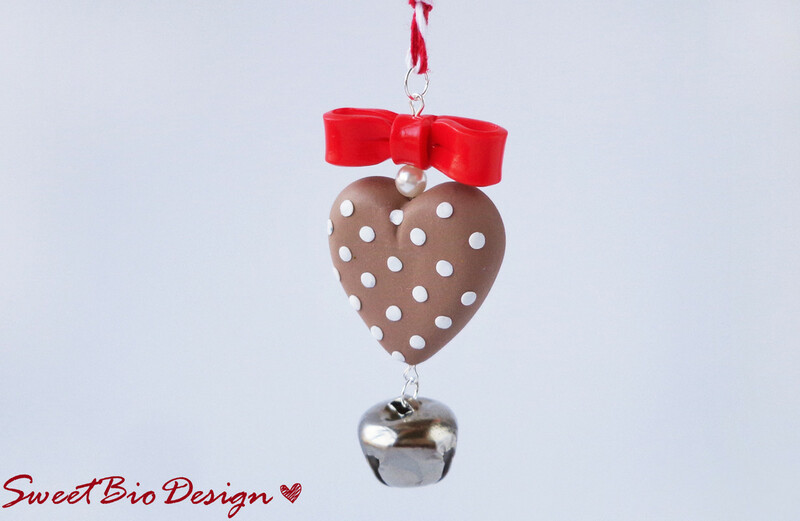 Con la bufera delle feste riesco solo ora a parlarvi del mio ultimo progetto del 2015: gli ornamenti a cuore shabby. 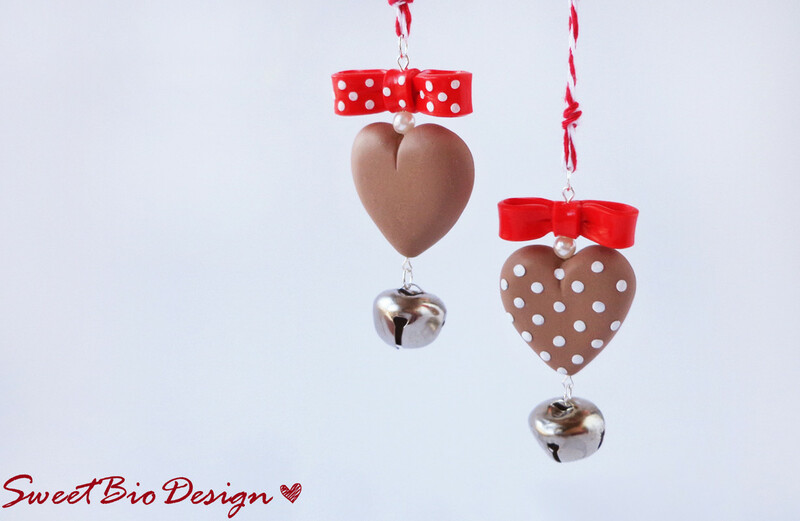 With the storm of the holidays I can only now to talk you about my latest project of 2015: heart shabby ornaments. Si tratta di ornamenti realizzati in pasta polimerica (fimo), ai quali ho applicato un nastro nella parte alta e un campanellino nella parte bassa. These are ornaments made of polymer clay (Fimo), to which I applied a strip at the top and a bell at the bottom. I due cuori hanno una decorazione a pois alternata: uno sul nastro e uno sul cuore. 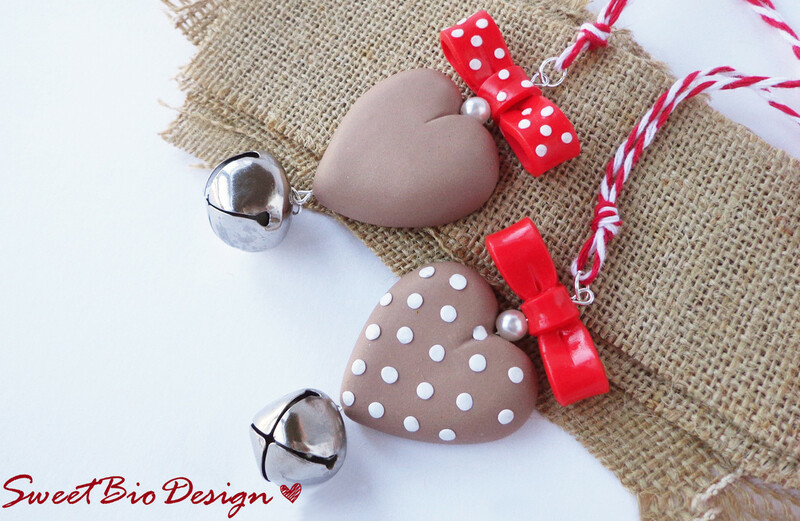 The two hearts are decorated with polka dots: one on the ribbon and a one on the heart. Potrete appenderli all’albero di natale oppure semplicemente in casa, magari nella maniglia di un mobile. You can hang thease at the Christmas tree or simply at home, maybe in the handle of a furniture.